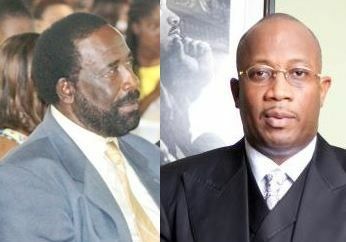 - Accuses Government Minister of giving former 2nd District candidate Claude Skelton-Cline contracts to give out in his district! Hon. Christopher said he was told by Premier Smith that he was going to make $100,000 available to each of the nine district representatives for cleaning ghuts and doing things that are needed in the districts and those put forward by the district representatives. He also went on to tell the House of Assembly (HOA) on October 14, 2013 that in speaking with the Minister for Communications and Works Honourable Mark H. Vanterpool, he was told that the people also elected four At-Large Representatives and the money promised will be split in half and also given to the Territorial members to do work in the districts. Hon. Christopher made it clear that he “had no issue with that as they were elected by the people also, as it meant that the rules were established” and he wanted to play by the rules. 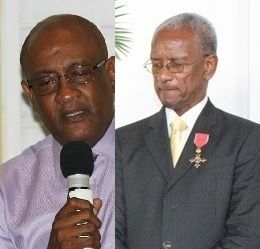 The Second District Representative said he contacted the Minister for Communications and Works Honourable Vanterpool to give him some items that needed to be done in his district and even submitted names for the portion of his 50% in keeping with the established rules and protocol. He said when he contacted the Ministry of Communications and Works he was told that he is not to be speaking with anyone from the Ministry or Public Works. Hon. Christopher told the HOA that he was told that approval will have to be given for the “engineer” to go out with him. He said over the past 18 months of the NDP Administration he has been inquiring about what was going on in his District, particularly about a project in Brewer's Bay. Hon. Christopher reported that the Minister for Communications Hon. Vanterpool did not hesitate to tell him “there is a very active and vibrant Action Committee in that area..but he listened as he loves to listen”. The former Government Minister said he was told by the Ministry of Communications and Works and, he knows that the Ministry is headed up by the Minister, “that a directive came that they are not supposed to take any instructions from him [Hon. Christopher] and someone was assigned to say who and how these works are to be carried out in his district…I was under the impression that I was the District Representative..I asked for the name and was told that Claude Skelton-Cline was the name given…” according to Hon. Christopher. “Madam Speaker, I was appalled by this revelation as when I was a Minister of Government I respected all District Representatives and all works went through the District Representatives out of courtesy and respect,” Hon. Christopher stated. He said under the 20-month old NDP government it seems like they are “practicing the rules of the jungle, where it’s the survival of the fittest”. He said he spoke before the Minister for Communications and Works so he can have an opportunity to clarify his position, however the Minister did not address the issue. Hon. Christopher warned that if all the rules and respect for each other have been done away with, then he can also play by the rules of the jungle “If what is happening for the last two years under this government is going to be the norm then we will be in serious trouble…I have always cooperated with the government and given them the respect..Tell me today if we are applying the rules of the jungle,” the usually calm District Representative asked? 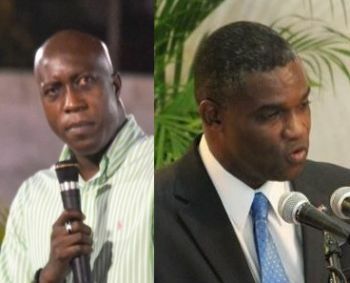 Over the past 20 months, many members of Parliament and the public have bitterly complained about the culture of disrespect that has taken over the Virgin Islands under the NDP-led Administration. Allegations include incidences of At-large Ministers of government recklessly going into districts and giving non-elected persons, usually losers of the 2011 election, contracts to give out and bypassing the duly elected representatives. This seems to happen more frequently in the 1st, 2nd, 3rd and 9th districts, all held by Opposition Members. Since the 2011 General Elections, many have said the HOA is now at an all-time low with many describing it as a circus akin to a school house. One legislator had even warned Premier Smith to “bell that cat” in referring to a certain Minister. Who so ever diggeth a pit shall fall in it! You are so right. Remember Haman in the book of Esther, concerning the Jews. This account still applies to ALL men and women today. When you up and down planning to hang someone on a 75 foot tall gallows, be careful you, yourself is not the one hanged. Excerpt: Chapter 7: v 9 - "....Haman even went so far as to build a gallows at his house so that he could hang Mordecai, who saved Your Majesty's life. And it's 75 feet tall! Hang Haman on it, the King commanded. how did CS Cline even become part of the equation? He is head of Port Authority and has no jurisdiction in the second. No even at large. Christopher is the elected official. TDEM PEOPLE IN THE HOSUE ARE KIDS. So as ADULTS we have to be responsible for making sure that these KIDS get the help they need. This is an insult to the district rep. and the NDP must stop it or go!!! This is unconstitutional and in breach of the Laws and Regulations. Equally importantly, is the UK aware of this? This is beyond jungle/survival of the fittest. This is an impeachable act which the UK ought to be looking into. With idiot, lazy governance like this, no wonder we're going nowhere fast. It seems as if lawlessness is the order of the day. This NDP government can find $$$$ to a none elected man for work but important projcts are shelved and pushed around. They that have ears to hear, let them hear, read, see, understand, and act. Every elected memeber has a part to play so let's just get to it! I hope other districts reps even on the NDP side follow suit in speaking out!!!!! If the NDP after 2 years does not have respect for the Opposition, their own members or the people how the hick can we not run them out of office like we did in 2007 eh? Jeez um bread they have not get it yet!!!! If this is true, then this is a direct slap in the face to the constituents of the second district. For this government to issue authority to Claude Cline to give directive on works to be carried out in the district is of gross disrespect and shows all disregards for of our constitutional right to vote and choose our own representation. An explanation needs to be given forthwith!!! When the VIP Henchman from Cane Garden Bay was all over Virgin Gorda giving out contracts, nobody was crying and fussing about that. I guess they sent him there then. Well, I shouldn't say nobody was crying out because I heard some Virgin Gordians fussing. What is good for the goose is never good for the gander huh? Now I don't think this is right, but apparently Jungle politics has been practiced in these islands for a while now. the rule of the jungle is already at play where have you been Alvin? Claude out play Russian mafia , walking with his stick as if he is Moses. leave him alone he will never be 2 district rep. He don't have any manners .i see his friend from Detroit gone jail the other day dem think dem smart. some of the same people he giving contract to have their eyes on him. its not too much tongue cattle have that they cannot talk. look at that first picture the are two of a KIND!!! I guess Alvin crying now. For what? Alvin has been missing in action for 20 months. Never shows up to anyrhing important. Just collecting a cheque, but now concerned about the people. What a joke..
Alvin ain't doing anything in the district anyways.so might as well let someone else try and do something. if anyone can tell me what he's done in that district for the past 8 yrs I'd be surprised if it's much.he's not doing anything. Mr. Christopher you need to shut the hell up! You had a chance to help get rid of these jokers and you did nothing. We don't want to hear you. Stay there and take death! Mr Christopher gives a cheque to the less fortunate ones in his district for all of his 18 years . all you just talking what you dont know. what do ndp men do? NDP a the worst me tell. The problems that we face today are in great part due to the simple fact that the people who work for a living are outnumbered by those who vote for a living. What is see is NDP heading for an election defeat come 2015. I supported them in the last election and would probably do so again but they need to controls those loose canons who is destroying the party. A perfect example is CCS. Religion and politics should be kept seperately.